Celeste B. 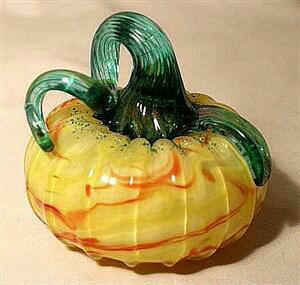 North ( Berni), and her colorful handblown Glass Pumkin in yellow/orange. Great for Halloween and displaying throughout the year. Approximately 4.5" dia x 4.0"high.